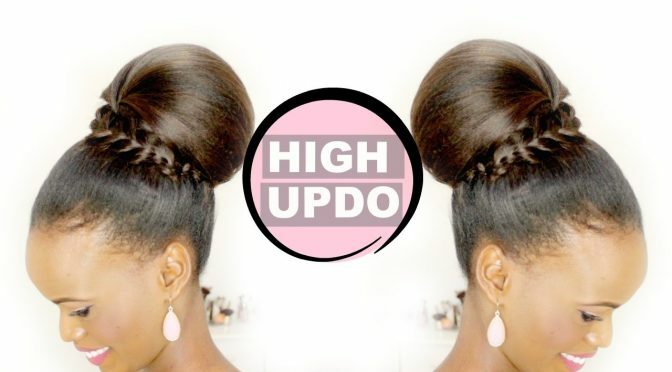 Here is a high updo hair tutorial for medium to long hair, that you can wear to prom, a wedding, or any special event. 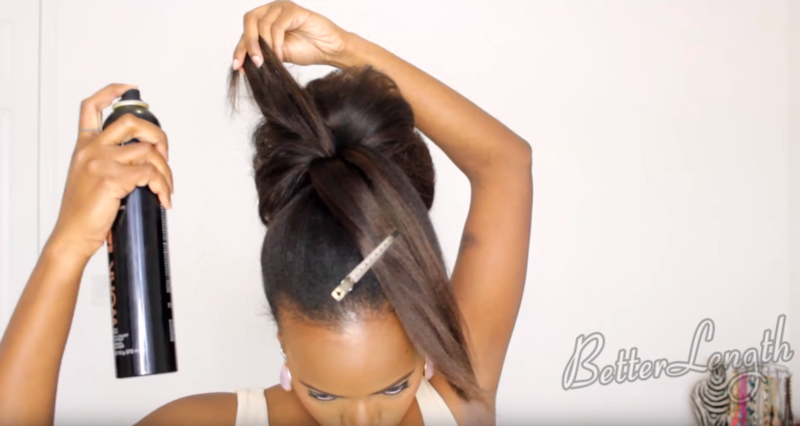 The hair used in this tutorial is BetterLength 14″ Light Yaki clip ins. 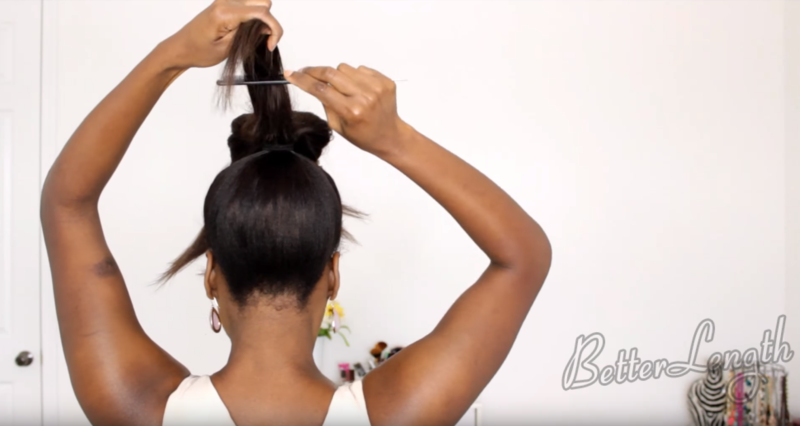 Take a small section from the front of the ponytail and clip it away for now and take a small section from the back and begin teasing with a comb. 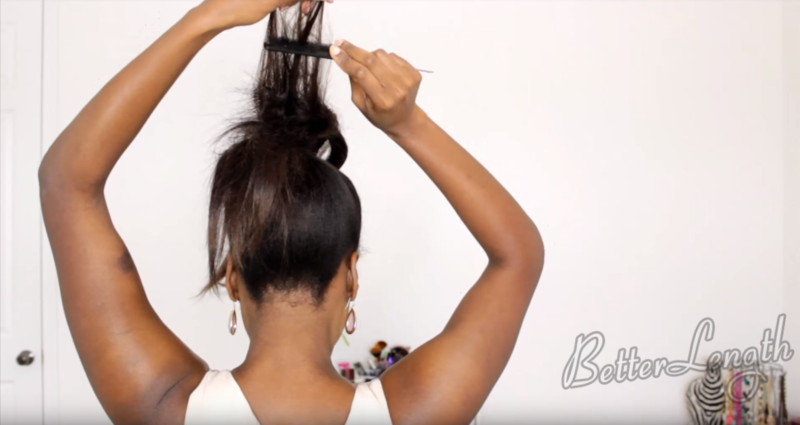 Finally you are all done with the teasing, you are gonna take the last section use hair spray to set it in place and use a brush to brush out the teasing not to disturb it too much but just to calm it down a little and take a couple of bobby pins and pin that in place to secure it. 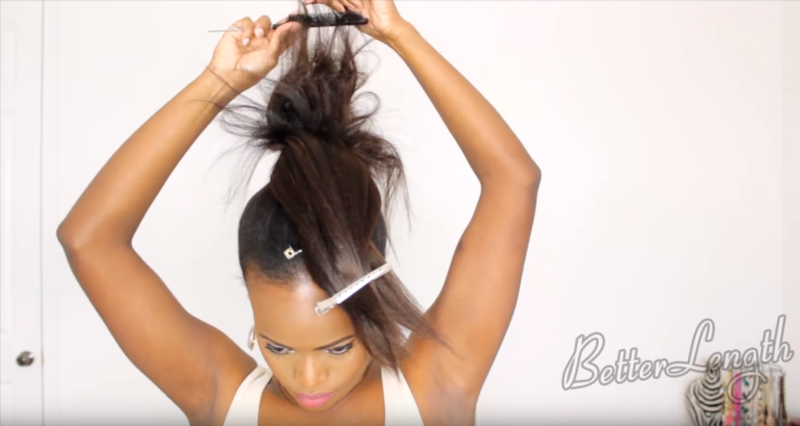 Then taking one of the section you left out earlier and splitting it into two add a little teasing with the comb, spray it a little with the hair spray, and used the brush to brush out the top surface and then just kind of use the brush again to begin brushing out the top of the teasind and using a comb to brush it all out and using a couple of bobby pins. 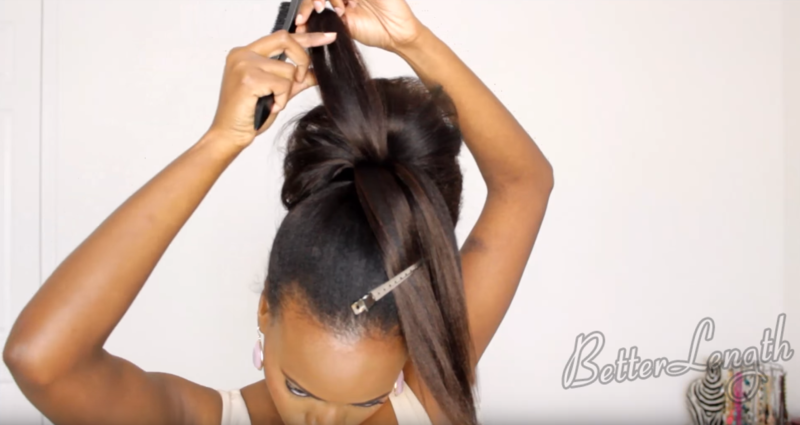 Take the other section tease it with the comb spray with hair spray and then brush it out with the brush again and using the comb to smooth out all of the top surface and then again using a bobby to pin it in place. 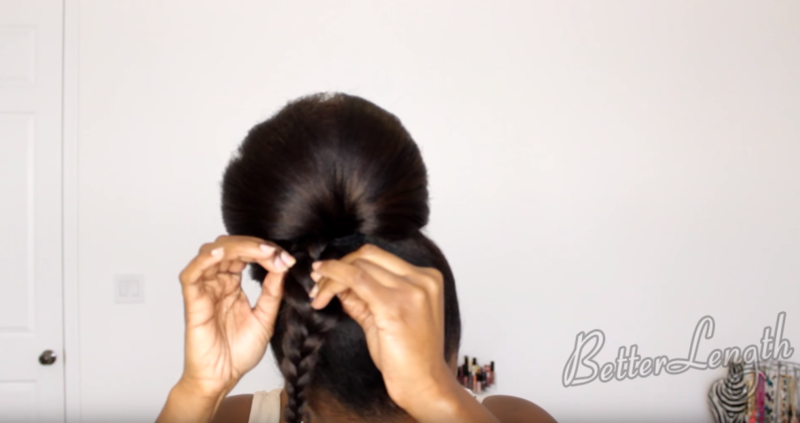 Now move on to the front section and for this piece of hair you’re just going to braid it down into a dutch braid or you can choose to do any type of braid that you want, this is just the braid that you wanted to go with and you’re just going to secure the ends with and elastic and then you will begin fluffing out the braid for a more full effect. 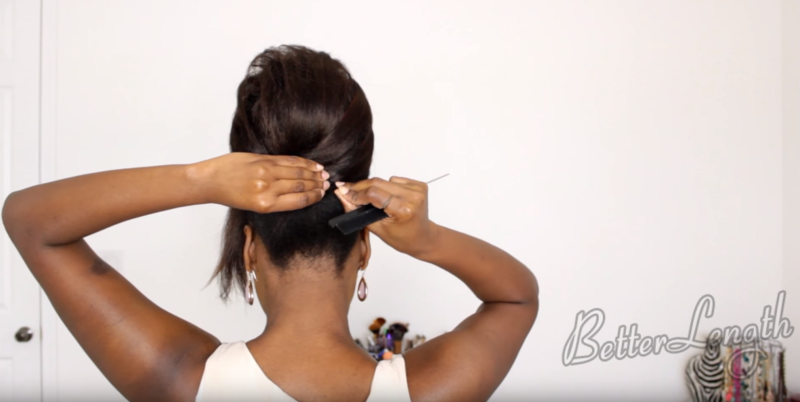 Once you are done fluffing out the braid, just take it and bring it around the side of bun and using one bobby pin to pin it in place and then you are going to just remove the elastic that you used earlier and once you are done with that you are going to take one hair pin and using the ends of the braid.